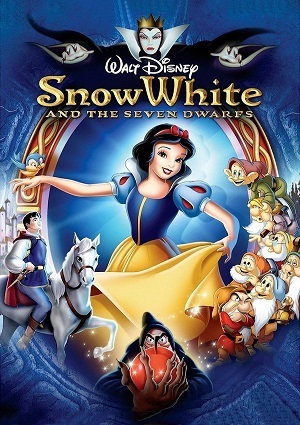 Snow White is a young girl who’s father, the King, died, leaving her living with her stepmother, the Queen. The Queen is vain and she has a mirror to who she asks daily “who is the fairest one of all”. The mirror usually answers that the Queen is, but one day, he answers that Snow White is. Full of anger, the Queen hires a huntsman for killing Snow White. But after chasing Snow White, the huntsman is unable to kill her and he urges her to run away. She finds a house where 7 dwarves live and she stays with them, but things do not end there, as the Queen is still planning to kill Snow White.